Filling the audience with a sense of déjà vu, the episode kicks off with Mumm-Ra at the receiving end of the Ancient Spirits of Evil’s wrath. Exasperated by the mummy’s constant failures and the loss of his allies the Mutants and the Lunataks (see “Notes of Interest” below), the sentient statues grant Mumm-Ra just one day to rid Third Earth of the ThunderCats. 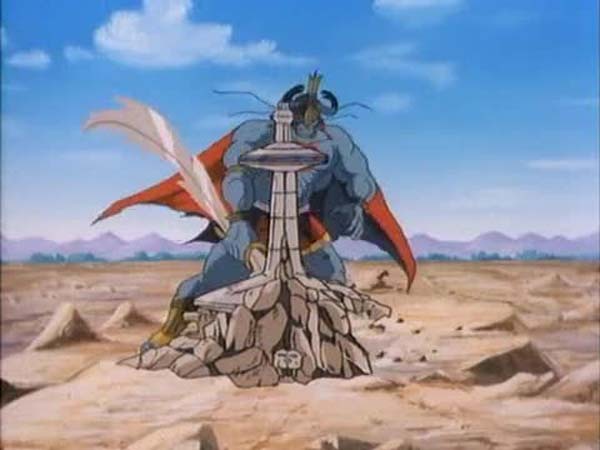 To prove their point, they banish Mumm-Ra’s beloved pet Ma-Mutt before transforming Mumm-Ra into his most powerful form yet, destroying his pyramid in the process. A series of violent earthquakes and volcanic eruptions on every corner of Third Earth mark the beginning of Mumm-Ra’s mayhem. The ThunderCats’ analysis of these geological disturbances predicts a total planetary destruction in less than twelve hours. Suspecting Mumm-Ra to be behind the happenings, the noble heroes set out in search of him in their vehicles. Tygra and Cheetara are the first two unfortunate souls to encounter the bigger and, according to Tygra, uglier Mumm-Ra. 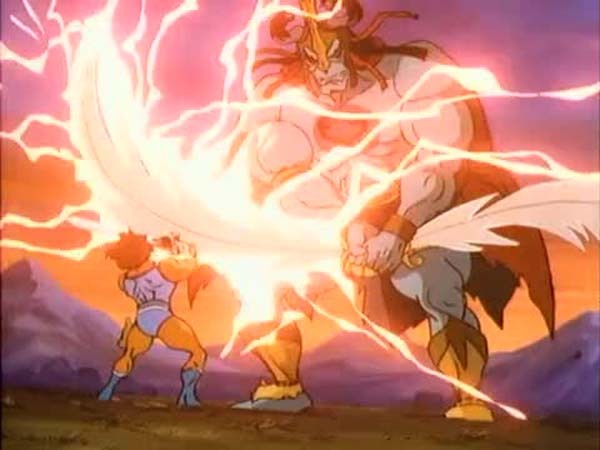 The villain, having attained gigantic proportions and powers, dispatches the two ThunderCats with relative ease, teleporting them to an unknown dimension. Lion-O and Panthro arrive on the scene and put on a brave fight but the latter is transported to join Tygra and Cheetara. In a stunning animation sequence, Mumm-Ra traps Lion-O in a prison of stone and molten lava. The colossal mummy then banishes the ThunderKittens right after he destroys the Tower of Omens with one mighty slash of the Sword of Plun-Darr. 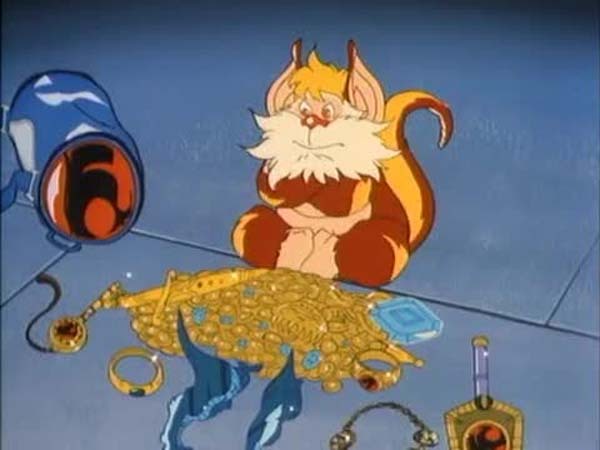 Following Lynx-O’s advice, Snarf arms himself with every item from the Treasure of Thundera and enters the Book of Omens, hoping that the Guardian of the book will divulge the secret to defeating Mumm-Ra. 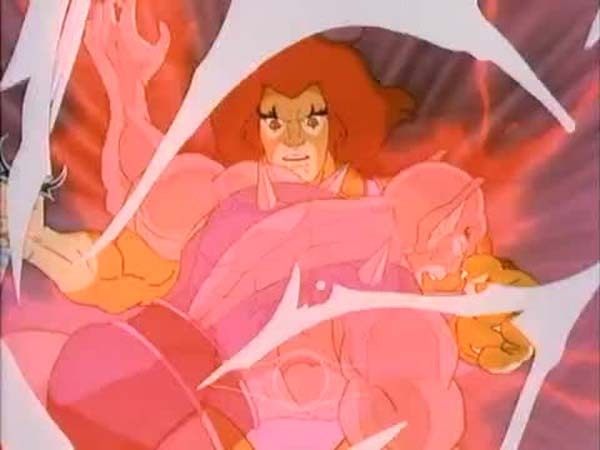 Meanwhile Jaga also joins in the fight and transports himself and the ThunderCats who are trapped in limbo into the Eye of Thundera, giving it enough power to break Lion-O out of his rocky tomb and fly him straight to Mumm-Ra. 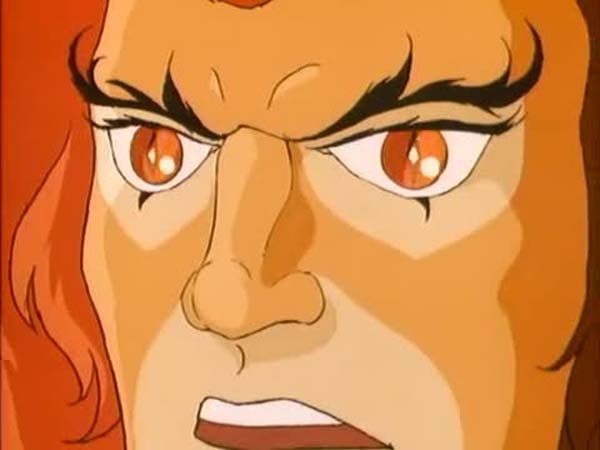 Just before Lion-O and Mumm-Ra lock swords again, an image of Snarf appears in the Eye of Thundera and tells Lion-O that he only has to survive until sundown in order to defeat Mumm-Ra. Even though Mumm-Ra clearly has the upper hand in this second round, Lion-O manages to go the distance and as soon as the day ends, the Ancient Spirits of Evil mete out the same punishment to Mumm-Ra as they had to Ma-Mutt. “Is this the end of Mumm-Ra?”, howls the glass-trapped mummy, giving the ThunderCats and the viewers something to ponder over. Despite being fast paced and action-oriented, “The Last Day” touches upon some significant issues. 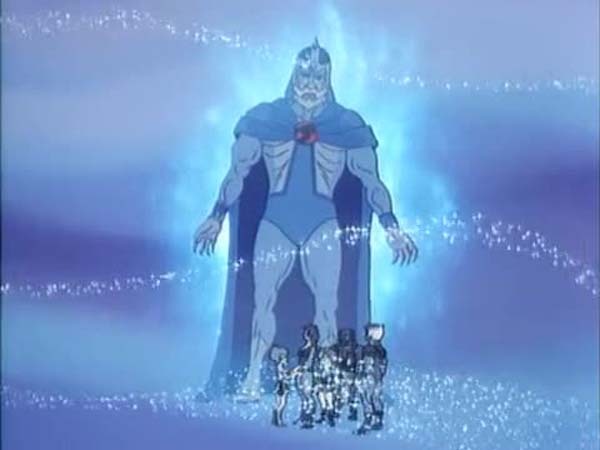 As Panthro points out, the near destruction of Third Earth echoes the fate of Thundera, an event that no ThunderCat would want to re-live. While the Cats were powerless to save their original home, in this episode they fight tooth and nail to prevent its destruction and succeed. 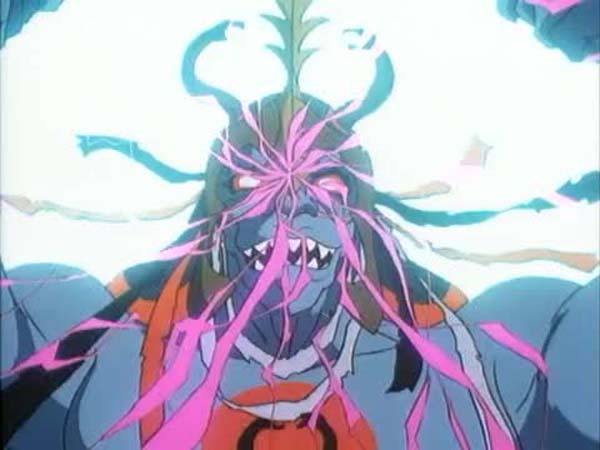 The colossal incarnation of an all powerful Mumm-Ra is truly a fearsome sight and a stark reminder as to why he still remains the series’ main antagonist despite his comedic antics in some episodes. 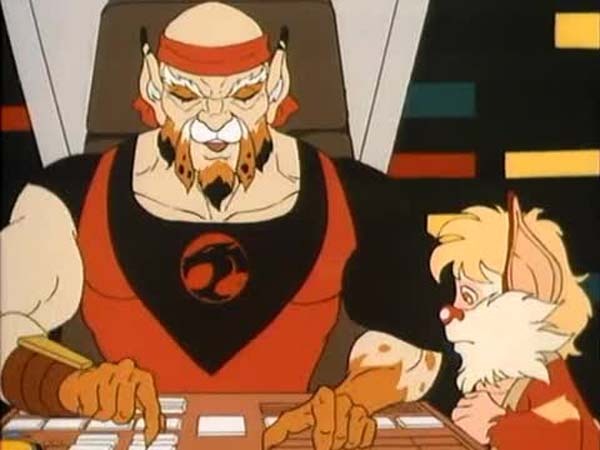 The presence of all the ThunderCats in the episode strongly emphasizes the motif of teamwork and even the normally passive Jaga and faint-hearted Snarf play their part in the apocalyptic battle. While it would have been exciting to see the new ThunderCats also taking on Mumm-Ra, they nevertheless perform a significant role in the proceedings, especially Lynx-O. Just like “ThunderCats HO! – Part V”, this episode is noteworthy for ending with the apparent eradication of Mumm-Ra from Third Earth. With the Mutants and Lunataks also gone and the inhabitants of Third Earth safe from any form of evil tyranny, the ThunderCats shift their attention to New Thundera. While previous trips to the incipient planet were mostly exploratory, the Cats can now relocate there permanently and re-build their civilization as it was before. 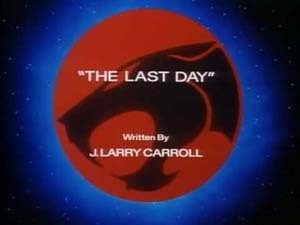 This proposal by Lion-O marks the beginning of new adventures of the ThunderCats on New Thundera. 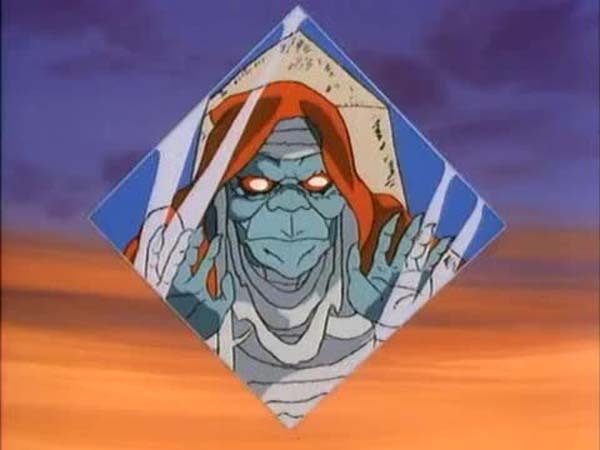 The method that the Ancient Spirits of Evil employ to banish Mumm-Ra and Ma-Mutt by trapping them inside a pane of glass is very similar to what Jor-El did in the movie “Superman” to the criminal General Zod and his two cronies. 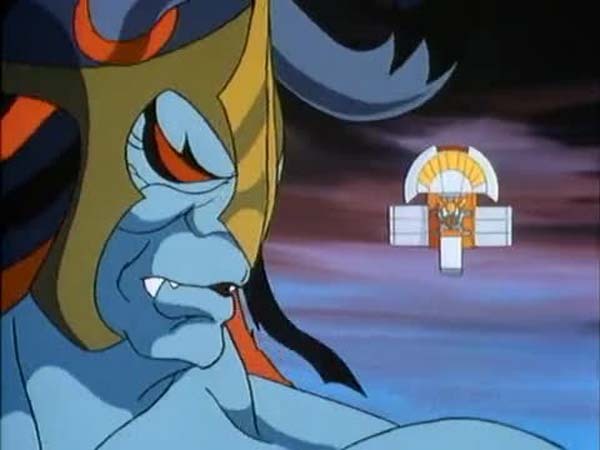 This is one of the few episodes in which Mumm-Ra transforms into his “all-powerful” form which features him being more muscular and having slightly different facial features. 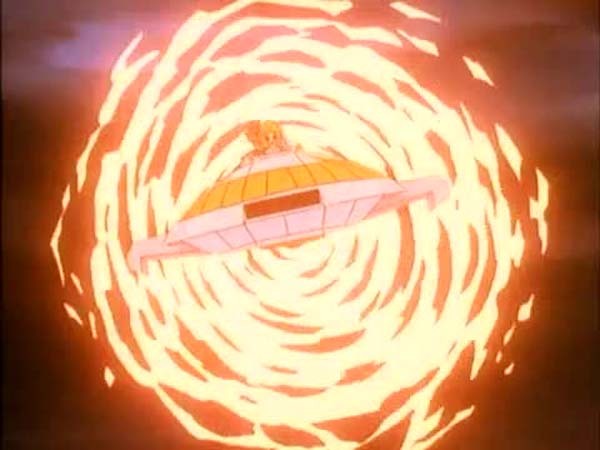 This episode takes into account the events of the episode “The Circus Train” in which the Mutants and the Lunataks are captured by Captain Bragg, and explains why the Ancient Spirits are losing faith in Mumm-Ra. 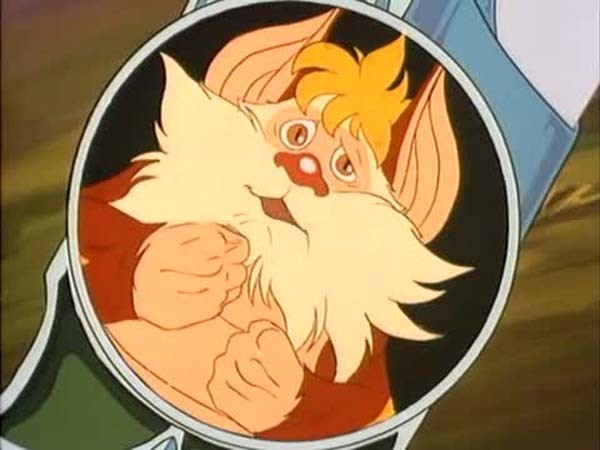 When Snarf is talking to the Guardian of the Book of Omens, we see a glimpse of all the items from the Treasure of Thundera.